Mrs. Emma S. Haynes was born in Portland, Oregon on February 2, 1907. Her father, the Rev. J.C. Schwabenland served German Congregational Churches in North Dakota, Washington, Oregon, California and Colorado between the years 1898 and 1939. Rev. Schwabenland was born in the German colony Straub, Russia and came to the U.S. in 1891, Emma's mother (born Dorothea Müller) came to America from Norka with her parents and their family in 1887. After graduation from Windsor, Colorado high school in 1924, she attended the University of Colorado, graduating with honors in 1927. While there, she received Phi Beta Kappa and Kappa Delta Pi honors. Her M.A. thesis at the University of Colorado in 1929 was entitled German-Russians on the Volga and in the United States. Her thesis and her book History of the Volga Relief Society, written in 1941 are proof of her long interest in her heritage. After teaching in Redfield, South Dakota in 1929, she went to the University of Breslau in Germany as an exchange student in 1930-31. Upon her return, she taught at the Michigan City, Indiana Senior High School. After World War II, Mrs. Haynes was employed as a translator and interpreter during the famous Nuremberg Trials. She interviewed many of the famous personalities of the Allied Armies, as well as interpreting for the leaders of the defeated Reich. It was there that she met her husband, Tom, a Chicago court reporter, who was also working at the trials. After being married in the United States in 1948, they returned to Europe where they spent 28 years. Their duty stations included Trieste, Italy; Salzburg, Austria; Verona, Italy; Goppingen, Germany and their last station in Frankfurt, Germany where Mr. Haynes was employed in the legal section of the U.S. Army. While in Frankfurt, Emma continued her research into the lives or our German relatives, now living in the Soviet Union, or recently repatriated to Germany. Her friendship in AHSGR with Dr. Karl Stumpp of Germany, the eminent and outstanding authority on the history of the Germans from Russia enticed him to come to America for the 2nd International Convention of the American Historical Society of Germans from Russia (AHSGR) resulting in the progress of the organization in the Americas, Canada and abroad. 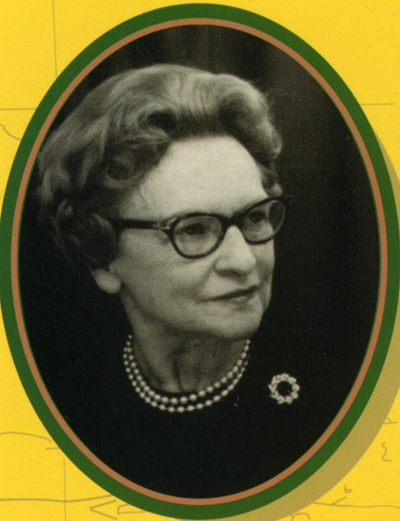 Mrs. Haynes was a member of the International Board of AHSGR since its beginning in 1968 until her resignation in 1983. She served as the society's representative in Germany until her return to the United States in July 1976. In her spare time she answered countless letters from AHSGR members seeking help with their research. She was one of three editors of The Czar’s Germans, a Hattie Plum Williams manuscript published in book form by AHSGR. Emma and Tom Haynes lived in Arlington, Virginia until the end of April, 1984 when they moved to Ventura, California. As an active member in the Washington, D. C. Chapter, she had access to the archives in our National Capitol and served as the chairperson of the AHSGR Research Committee. Her outstanding contribution, can't be measured in terms of remuneration but most of us know of her unlimited number of articles pertaining to our history in the Work Papers now known as Journals and the Clues have far surpassed the requirements of any individual in our organization. Perhaps not all of us realize of the untold numbers of her personal books, pamphlets and materials she donated to the library now located in the heritage center at Lincoln, Nebraska. The AHSGR Library at Lincoln, Nebraska is named in her honor because of her pioneering work on history and genealogy of the Germans from Russia. To see himself a link in the beautiful chain. Emma Schwabenland Haynes died on December 28, 1984 in Ventura, California. Haynes, Emma S. My Mother's People., 1959. Print. Wissen Sie? : A Perspective on Emma Schwabenland Haynes (1907 - 1984), NDSU website, Dec. 2014. Guide to the Emma Schwabenland Haynes Papers 1927-1982, Washington State University, 2014.